TOKYO (Reuters) - The International Monetary Fund called on Asian economies to learn from Japan's experience and act early to cope with rapidly ageing populations, warning that parts of the region risk "getting old before becoming rich." Asia has enjoyed substantial demographic dividends in the past decades, but the growing number of elderly is set to create a demographic "tax" on growth, the IMF said in its economic outlook report for the Asia-Pacific region on Tuesday. "Adapting to aging could be especially challenging for Asia, as populations living at relatively low per capita income levels in many parts of the region are rapidly becoming old," the report said. "Some countries in Asia are getting old before becoming rich." The population growth rate is projected to fall to zero for Asia by 2050 and the share of working-age people - now at its peak - will decline over the coming decades, the report said. The share of the population aged 65 and older will increase rapidly and reach close to two-and-a-half times the current level by 2050, it said. That means demographics could subtract 0.1 percentage point from annual global growth over the next three decades, it said. 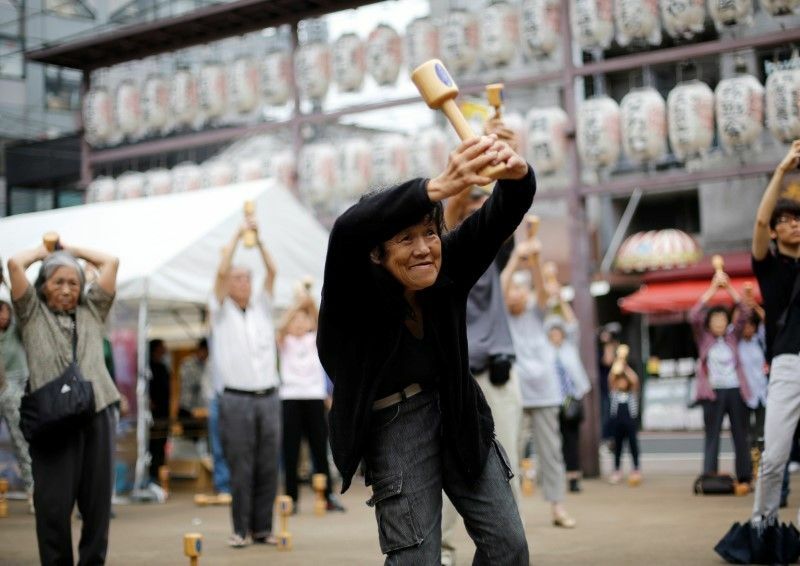 The challenges are particularly huge for Japan, which faces both an ageing and shrinking population. Its labour force shrank by more than 7 percent in the past two decades, the IMF said. The high percentage of its citizens living on pensions may be behind Japan's excess savings and low investment, which are weighing on growth and blamed in part for keeping inflation below the Bank of Japan's 2 percent target, the report said. "Japan's experience highlights how demographic headwinds can adversely impact growth, inflation dynamics and the effectiveness of monetary policy," it said. The IMF called on Asian nations to learn from Japan's experience and deal with demographic headwinds early, such as by introducing credible fiscal consolidation plans, boosting female and elderly labour force participation, and revamping social safety nets.